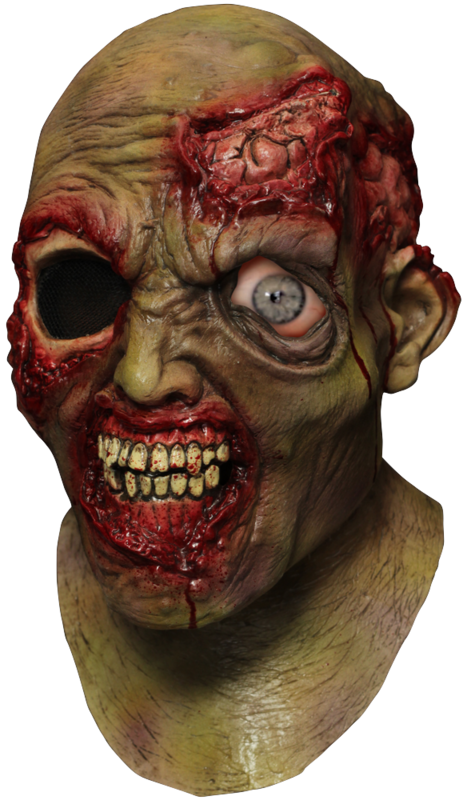 With the Wandering Eye Zombie Mask, you can become on of the most feared creatures, creating a realistic look with the help of an animated eye smartphone app. 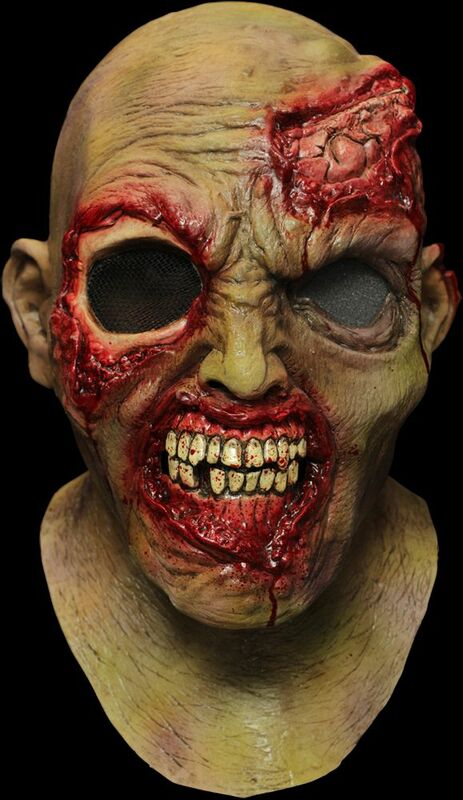 Deep bloody gashes reveal brains and rotting teeth, standing out against the greenish tint of zombie skin. 1) Download the FREE app Ð²Ð‚ï¿½Ð²Ð‚â„¢Digital DudzÐ²Ð‚â„¢Ð²Ð‚â„¢ and launch the animation for your mask. 2) Slide your device into the secure pocket on the front of mask (the mask pocket size measures up to 6Ð²Ð‚â„¢Ð²Ð‚â„¢ x 3.25Ð²Ð‚â„¢Ð²Ð‚â„¢ - almost all smartphones including galaxy note II). 3) Play video and bring your mask to life.